How Many Reviews Do You Need? Now We Know! Does the mention of consumer reviews send your brain into a tailspin that raises more questions than answers? We know the feeling. Over here at Spectrum, we spend a lot of time thinking about reviews. 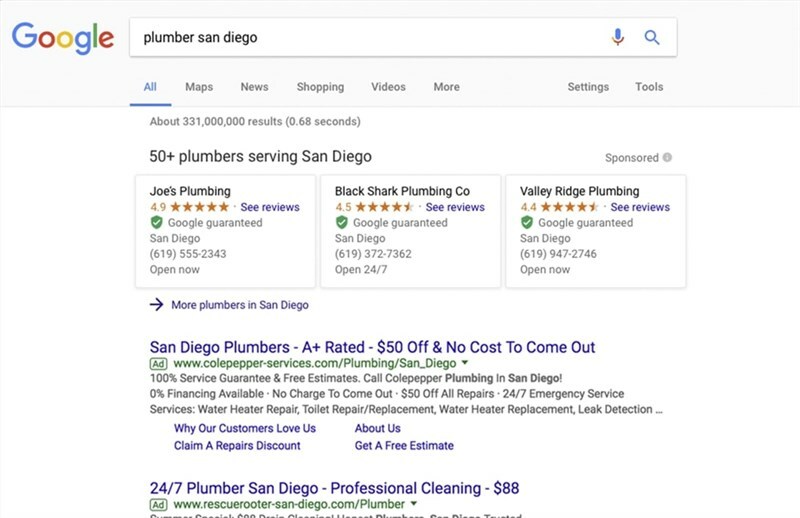 They’re tricky, because, despite how heavily these reviews impact your bottom line, very little is known about how customers interact with reviews and how review content informs their decisions to pick a home services company…until now! Looking for a 2-minute rundown of our reviews insights? Download the executive summary to the right! 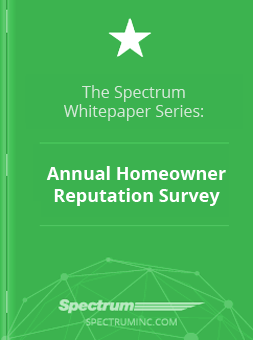 We asked 1,010 American homeowners how they picked companies for their home, and the findings will help you improve your business. 99% of customers are reading reviews before they make their decision, which means you absolutely cannot afford to ignore reviews. Customers universally prefer companies with more reviews, but review quality also needs to be high. We even asked customers how many reviews they’re reading before they get in touch. The majority are satisfied with 10 reviews, but more than 25% are reading up to 50 reviews. Download our survey findings and read our 2-minute executive summary to see the data behind this question and a host of others that will help you improve your business! So, in summary: yes, your customers are reading your reviews and they are more likely to buy from you if you have many positive reviews. One issue, though: how in the world can you or your reputation management team control your company’s narrative with potentially hundreds of consumer reviews floating around the web? Customize review request email templates to direct customers to your preferred review sites. Send review requests to your customers with the click of a button. Receive Reviews Engine training from our experts to ensure you and your reputation management team are equipped for success right away. At Spectrum, we take the guesswork out of customer satisfaction. With us, you’ll always know how your customers feel about your service quality, your existing customers will understand how their reviews help you improve said quality, and your prospective customers will see that your company is one worth talking about. We surveyed 1,010 American homeowners to find the sweet spot of online reviews for your business. With insights on the ideal quantity and quality of reviews to have, this is data that will help you build your bottom line with online reviews. Download now to read a quick executive summary, or dive into the advanced course with the full analysis! Jim Wingfield is a seasoned entrepreneur and digital marketer who enjoys the challenges of the rapidly growing digital space. As a lifelong marketing strategist, he truly understands what it takes to make your brand stand out, through all the white noise. Ready to take your company to the next level? Add me on LinkedIn! Fill out the form today to receive your free download. No Thanks, I’m good for now. Spectrum is the leader in lead generation for the remodeling industry. Let's get you on-track with a quick, 30-minute conversation.  Select Appt. Time Early Morning Appt. Morning Appt. Noon Appt. Afternoon Appt. Early Evening Appt. Evening Appt.